One of the most important for all travel, things is the traditional food that exists in the destination we visited. However, at present, the restaurants add a plus to the cuisine, focusing on the consumer experience. This means that in addition to engaging in the preparation of their dishes, look for different ways to make the experience of those who enjoy the food in a unique and unforgettable moment. Then we will show five food and beverage outlets located in difficult to reach heights! At. 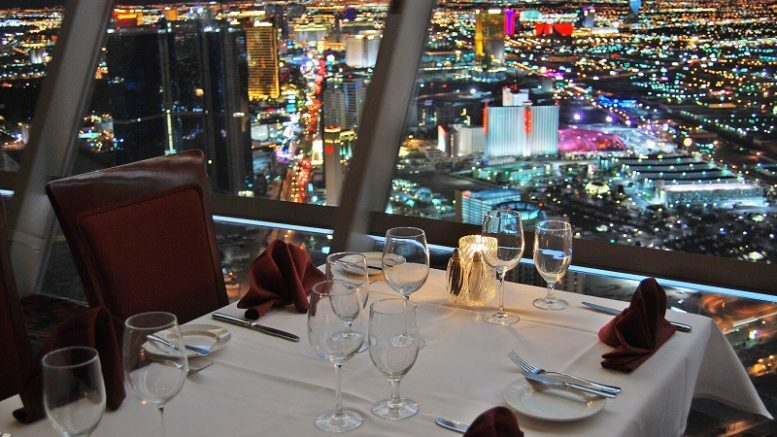 Mosphere, Dubai: This wonderful place is considered the highest restaurant in the world. Located in the Burj Khalifa building in Dubai, the highest place is located on the floor 122 to 442 meters above the ground. It is a local luxury, which serve international delicacies suitable for any taste. To attend this exclusive place, it will be necessary to wait delays for months. 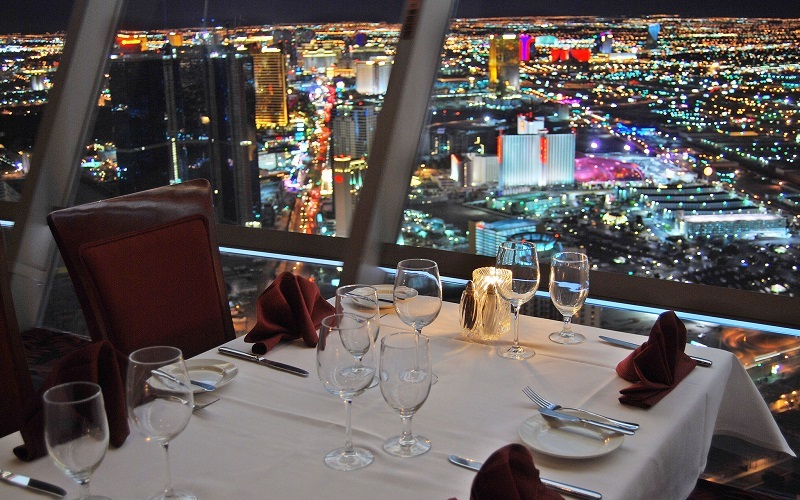 Top of the World, Las Vegas: This famous gastronomic shop is located at the top of one of the tallest buildings in the United States in Las Vegas. It rotates 360° in a span of 80 minutes, allowing all customers a full view of the whole city, while savoring delicious dishes. Dare to enjoy this wonderful experience; you get the best prices on your flight! Coco loco, Chile: Located 70 meters above sea level in the coastal city of Chile, Valparaiso, this amazing place, also rotates 360 degrees, allowing you to enjoy an incredible view of all landscapes. Resort Soneva Kiri, Thailand: This amazing place has created a special space for their clients, allows delight of gastronomy destination on a tree more than 4 meters high. Dinner in the Sky, Belgium: More than a restaurant is a place that promotes different experiences lunchtime on High in different countries. The idea started in Belgium and has expanded to more than 40 countries. The dishes are served to a maximum of 50 meters, and the surface is lifted by a crane. Be the first to comment on "Eating at heights"